This is a Bentley that goes places no other Bentley does. Water, snow, rough roads...they are are no match for the all wheel drive Bentayga. This SUV had never been seen in public, and with so much buzz surrounding the reveal, everyone was dying to catch a glimpse of this brand new SUV. We hid a giant 170x80 foot water projection system in the bay beside the club house at Pebble Beach. As the party for this ultra exclusive event got rolling and the sun set, we engineered a faux lightning storm, drawing the crowd’s attention to the bay. Suddenly, an enormous water projection erupted, as we rear projected onto it. 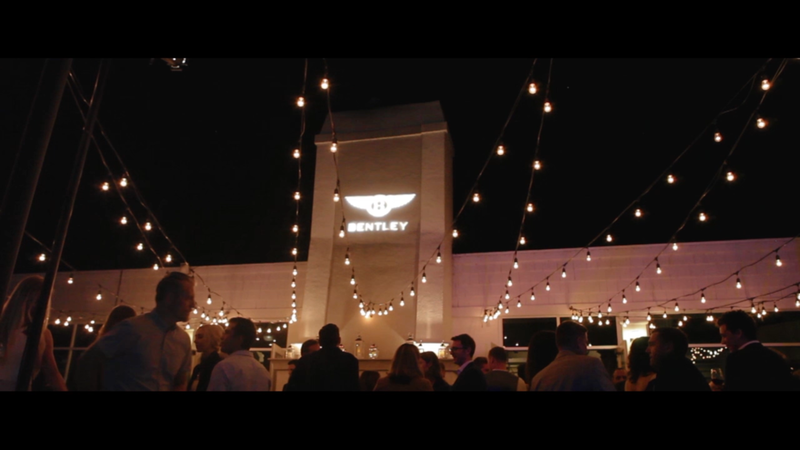 When the show finished, the new Bentley was revealed on the pier. The audience got their first glimpse of the Bentayga as it roared down a smoke filled runway and disappeared into the night.